Table base with a four foot design and a durable powder coated Black finish. Available from stock for a fast and free delivery. 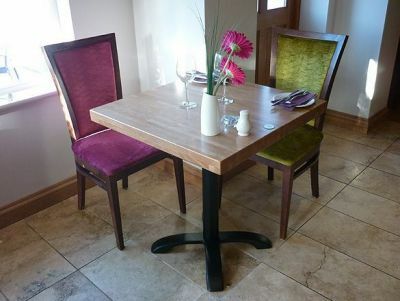 Suitable for use with table tops up to a maximum size of 800mm square or 900mm round. 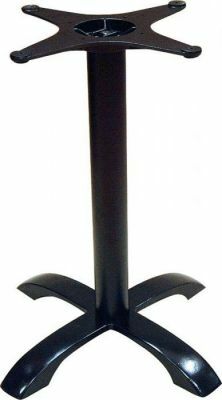 Chunky single pedestal black cast iron table base. This is a great value product that has been design to hold heavy duty cafe table tops. This table base is held in stock for a three to five working day delivery.